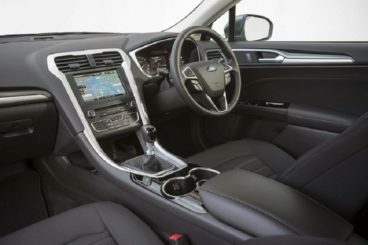 The Ford Mondeo Estate has a distinct advantage over most of its rivals: It’s a familiar face that many people know and love, with Ford doing really well to capture the commanding, well-bred looks of the hatchback. For some of you who want a bit of well-sculpted style from your family Estate, this is going to be a huge plus. The Estate version of the Mondeo is only sold here in Europe. Elsewhere, this type of car just doesn’t sell very well. In the UK, it doesn’t sell very well either, which is why Ford’s offering has to be extra special to make an emotional connection with buyers, convincing them to part with their well-earned cash for a large family car that ticks all the boxes. A lot of advanced technology has been added here, and the Mondeo has certainly got the pedigree. But in a bloated yet under-selling sector, has it got enough to be the (large) apple of your eye? OSV takes a closer look with our Ford Mondeo Estate review. If there is one thing Ford usually get right, it’s entertainment behind the wheel. Their cars are usually among the most fun to drive in their sectors, but while the Mondeo Estate offers a somewhat engaging ride, it’s been softened up. Of course, the Estate variant is heavier than the hatch, and it would be too demanding to expect it to drive as well as its stablemate. But cornering is less precise than we’d have hoped, while the suspension is entirely about comfort more than anything else. The steering is a little bit too airy, which fills you with less confidence as you approach bends. In terms of engines, the most popular petrol unit with buyers should be the impressive 1.5-litre EcoBoost, which sounds good and feels rapid. It can get you from rest to 62mph in 9.3 seconds, though the most economical of the petrols is the 1.0-litre EcoBoost. More economical, but also more sluggish – and very weary on a full load. It practically creaks and groans. A 2.0-litre EcoBoost unit makes up the range. It comes in either 234bhp or 200bhp guise, with the more powerful of the duo getting from rest to 62mph in just 8 seconds. The range-topping diesel is also a lively customer that takes 8.3 seconds to cover the same sprint. With a 2.0-litre 177bhp engine, it feels quick, and it’s super quiet. Ford have also recently added a 207bhp to beef things up a bit, while there is also a lower-powered 148bhp unit that offers excellent fuel economy. 2WD drive is standard, but if you choose either the 148 or the 177bhp 2.0-litre diesel units you can opt for four-wheel-drive should you desire it. You get more grip and therefore feel more secure, but you do also spend a bit more on running costs, while performance is weakened. For extra grip without the extra steel, we recommend sticking with 2WD and specifying winter tyres instead. If you love familiarity, you’ll enjoy setting eyes on the Mondeo Estate. At first glance, it looks exactly like the hatchback (except it’s longer, of course). But if you take some time to genuinely inspect its looks, you’ll see that it’s been given a facelift. The changes are subtle, but they’re enough to make the Estate variant feel somewhat fresh. “Evolutionary styling” is perhaps the best phrase to use, and subtle improvements have been made to the rear and the front. The car feels better built than its predecessor and is easily the best Mondeo Estate yet. It’s also quieter inside the cabin, which gives it a relaxed, almost tranquil nature. Be sure, there will be no rattles and rolls as you drive. Traditional buttons have been dispensed with from the dash, with an 8” touchscreen replacing clutter and confusion. Initially, Ford included touch-sensitive heater controls, but feedback was so bad back home that they swapped them for normal buttons. Hard plastics were very much everywhere last time around, but you’ll find better materials here, and the car can now rival even the VW Passat for fit and finish. Impressive. Interior space is not entirely dissimilar to the hatch, and while there is easily enough room for two adults up front and in the rear, fitting three adults into the back might be a squeeze. Wide opening doors makes access easy, though, while you will also get electrically adjustable front seats if you choose the range-topping model. The glovebox is pleasingly sized, while a pair of cup holders in the centre console are very useful touches. The boot is sized at 525-litres with all the rear seats folded. 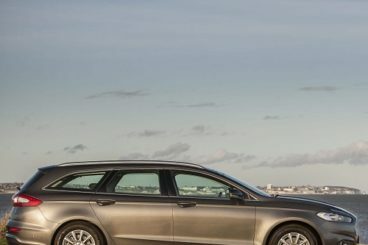 That’s a lot of luggage space for a family Estate, but it’s far from being the best in the class, and it’s also down 12-litres on the outgoing model. If you fold the rear seats down, you can increase the size to 1,630-litres. If you opt for the base-level variant, you still get treated to a decent amount of standard equipment, including 16” alloys, cruise control, climate control and an anti-theft alarm. The Zetec line chucks in sportier exterior styling, while the Titanium model comes with sat nav, automatic headlights and wipers and lane-keeping assistance. As mentioned earlier, Ford have introduced a lot of new advanced technology to the Mondeo, but far too much of it is optional. Disappointingly, this includes a lot of important and useful safety equipment, such as rear inflatable seat belts. Other optional extras include LED headlamps and a neat self-parking function. Prices for the car start out from £22,000 and rise to almost £34,000, which make it one of the most expensive Estates in its class. 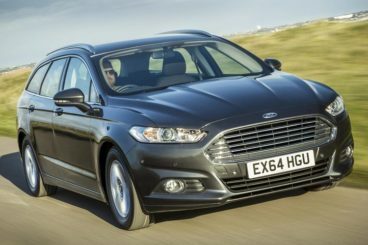 If you choose to lease a Mondeo Estate, you can expect to pay somewhere in the region of £180 – £380 + VAT. Running costs have been improved, and this new model is now cheaper to run. The elephant in the room is the 2.0-litre EcoBoost petrol unit which can only be wedded to an automatic stick, and which consequently returns 37.7mpg while emitting a 174g/km of CO2. The cheapest engine in the entire range is the 2.0-litre 148bhp diesel that is good for 67.3mpg and costs £20 per year to tax. Ford offer a 3 year/60,000 mile warranty for the Mondeo, which is miles from the seven years offered by Kia for their Estate. If a car’s safety could be measured by its safety equipment, then the Ford Mondeo Estate would arguably be the safest in its class. Up front, the driver and passenger get a front airbag, belt pretensioner, side head airbag, and side chest airbag as standard. The rear passengers miss out on most of these features, though, but they do get Isofix and a seatbelt reminder. Rather disappointingly, though, the best safety equipment is only available as an optional extra. For a few extra quid, you can add lane assist system, speed assistance and inflatable seat belts. Few Estate’s are what you’d call handsome. Most are gawky and awkward-looking and have to sell themselves on the strength of their practicality alone. The Ford Mondeo Estate is a wholly different affair, and is as austere as an Estate in 2016 could hope to be. Ford have done such a good job here that it’s even better looking than the hatch. We kid you not – this is a suave Estate. The car looks prestigious on the outside – and the inside. The cabin is an overall pleasant place to be, and it’s quiet and comfortable, too. One of the most significant aspects is its quietness. Whereas the outgoing model was known for its poor refinement, the new model is a more relaxed proposition, and the cabin is well insulated. Ford’s are generally fun to drive. But just like the Ford Estate struggles to be as fun as the hatch, so to does the Mondeo. Ford have purposely made this so, focusing more on comfort than entertainment. It’s a sensible decision (this is a largely family car, after all), but it become more problematic the more you think about it. After all, the previous generation was engaging to drive, and so was the model before that. It seems that with each successive version, Ford have diluted drivability to the extent where drivers will now feel less involved than ever before. One of the reasons for this is the electric power steering which has replaced the hydraulic system. It’s grippy and precise, but not very responsive. I’m banging the same drum here, but it’s going to irk some buyers that Ford have introduced new advanced technology – but held much of it back as optional extras. It’s a rub that might frustrate. Optional extras that you’d expect to be available as standard include parking sensors (perhaps the most eyebrow raising of them all), a self-parking function and a reversing camera. Other extras include a retractable tow bar, adaptive LED headlights and a fixed glass panoramic roof. 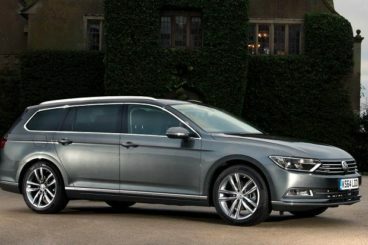 The debonair Volkswagen Passat Estate and the sporty Mazda 6 Estate are the Mondeo’s direct rivals. 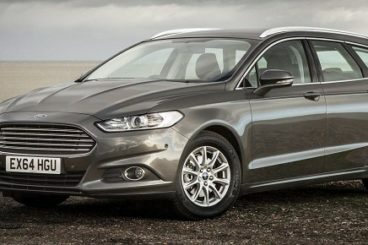 Let the games begin in the comparison section of our Ford Mondeo Estate review. 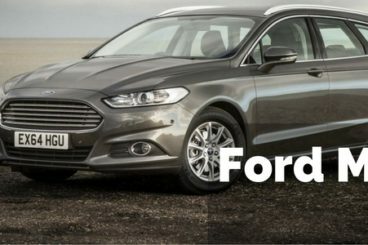 The Mondeo comes with 2WD as standard and 4WD as optional if you opt for the 2.0-litre diesel engine. The Passat, by contrast, comes with 4WD only. This system has its cons – more weight, higher running costs, poorer performance – but it also has its pros, and here it jacks the Passat up so that it makes for a superb off-roader that can also double as a beefy towing car. It performs like a saloon but with hiking boots on, and is just as comfortable on difficult, murky terrain as it is on smooth tarmac. Neither car is particularly fun to drive, but both are quiet when out on the road. 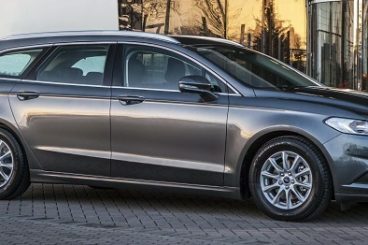 The Passat has a bit of an advantage over the Mondeo because it’s been a refined Estate for a number of years now, while the previous generation Ford was known for its rather noisy and rattly cabin. The Passat also gives you more confidence when you’re approaching bends. Inside, the Passat is supremely luxurious and limo-esque. The seats are embroidered with the Alltrack logo, while space is a major plus point. Both cars are big, but the Passat is like a hotel lobby while the Mondeo is more like a hotel room. The Passat’s boot can also boast 125-litres more space, although the touchscreen in the Ford is 1.5” bigger than the VW’s. The VW only has one trim available, but standard equipment is good. But where the car really falls down is pricing. While you can pick up an entry-level, bare to the bone Mondeo for just £22,000, you will need to shell out at least £31,000 for the cheapest Passat Estate. And then there is the small matter of front-wheel-drive eating into the running costs. The cheapest unit to run is the 2.0-litre TDI, which can see returns of 57.6mpg. Compare this with the 67.3mpg achieved by the most frugal engine in the Mondeo range (the 2.0-litre 148bhp diesel) and there’s no contest. If you’ve been shopping around for a large family Estate car that is actually fun to drive, you may have at last found a Mazda at the end of the rainbow. The Mazda 6 Estate offers so much entertainment behind the wheel that buyers might be left scratching their heads wondering why on earth other cars in this sector have to be so bland. And you might be wondering why oh why Ford are softening up their Mondeo Estate with each passing generation. 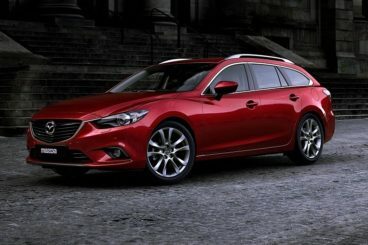 It’s a worthy question: Why does the Mazda 6 Estate drive so well? One of the reasons is that comfort has been forsaken a little, and the car will stumble over some of our worst roads and potholes. Another reason is the poky diesel engine. Just one is available, and in its most powerful guise it can rocket you and your loved ones from rest to 62mph in a rather hairy 7.8 seconds before maxing out at 137mph. Perfect for a big shop when you’re short on time. The steering inspires confidence, the suspension is nice and firm, while performance is strong. Both the Ford and the Mazda are among the best-lookers in this class, but while the Mondeo is more astute and commanding, the Mazda is more sporty and slick. But is it just a pretty face? Absolutely not. Buyers who were anticipating this great handler and a slick looker to be let down on the substance front will be in for a surprise. It comes with a great amount of headroom thanks to an extended roofline, as well plenty of cubbyholes for your bits and bobs, while its 506-litre boot is only slightly shorter than the Mondeo’s. This is a pretty big car, but the brand have done really well to keep running costs low. Though it’s big, it’s also lighter than ever, and thanks to a bit of advanced tech – such as their new brake energy regeneration system – efficiency is good across the board. The 2.2-litre diesel is good for 72.4mpg, while road tax will cost you just £20 per year. If you’re a petrol diehard, returns of 50mph should be pleasing enough. Prices for the Mazda start out from £22,000 and rise to almost £29,000. The large family Estate sector is hugely competitive, yet sales are slowing. The Mondeo is just one of a handful of top quality cars vying for your cash, and if you’re not yet convinced, it’s a good idea to do a bit more window shopping by closely inspecting its rivals. What it’s got to offer are good looks, space, a well-insulated and pleasing to look at cabin, as well as solid running costs. It handles well enough for an Estate, too. In conclusion, the Ford Mondeo Estate is a familiar name that you can always rely on if the alternatives aren’t measuring up.